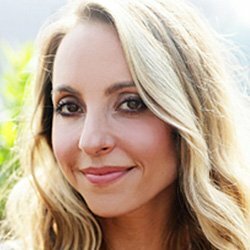 Gabrielle Bernstein is the #1 New York Times best-selling author of The Universe Has Your Back, and has written five additional bestsellers. She was featured on Oprah's SuperSoul Sunday as a "next-generation thought leader," and The New York Times named her "a new role model." She appears regularly as an expert on The Dr. Oz Show and co-hosted the Guinness World Record largest guided meditation with Deepak Chopra.